Demonetization is the act of stripping a currency unit of its status as legal tender. Demonetization is necessary whenever there is a change of national currency. The old unit of currency must be retired and replaced with a new currency unit. Maldives replaced its old currency notes this year. 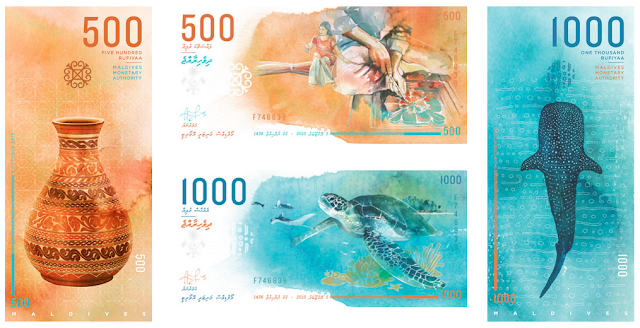 According to a press release by MMA dated 26 January 2016, the Maldives Monetary Authority has introduced its new family of polymer banknotes. Existing notes circulated in parallel until 1 June 2016, and can be exchanged for new notes for a period of five years. Neighboring India has demonetized its ₹500 and ₹1000 banknotes on 8 November 2016, ceasing the usage of all ₹500 and ₹1000 banknotes of the Mahatma Gandhi Series as a form of legal tender in India from 9 November 2016. The announcement was made by the Prime Minister of India Narendra Modi in an unscheduled live televised address to the nation at 20:15 Indian Standard Time (IST) the same day. 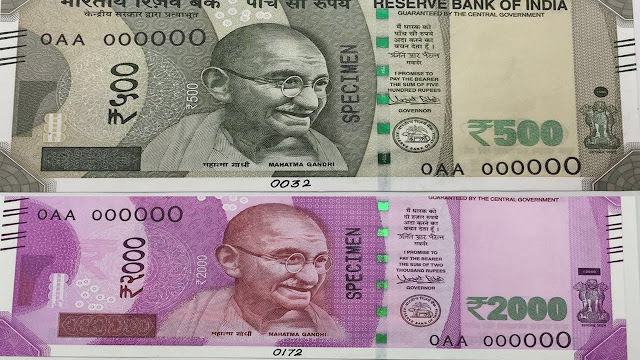 In the announcement, Modi declared circulation of all ₹500 and ₹1000 banknotes of the Mahatma Gandhi Series as invalid and announced the issuance of new ₹500 and ₹2000 banknotes of the Mahatma Gandhi New Series in exchange for the old banknotes. The banknote denominations of ₹100, ₹50, ₹20, ₹10 and ₹5 of the Mahatma Gandhi Series continued to remain as legal tender and were unaffected by the policy. The demonetization was done in an effort to stop counterfeiting of the current banknotes allegedly used for funding terrorism, as well as a crack down on black money in the country. The move is also aimed at reducing corruption, drug menace and smuggling. Another example of demonetization occurred when the nations of the European Monetary Union adopted the euro. In order to switch to the euro, authorities first fixed exchange rates for the varied national currencies into euros. When the euro was introduced, the old national currencies were demonetized. However, the old currencies remained convertible into euros for a while so that a smooth transition through demonetization would be assured.